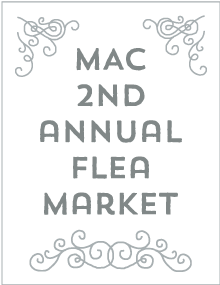 This indoor flea market features vendors and individuals selling their new and used treasures. Free and open to the public. To become a vendor, reserve your table in advance by contacting development@mysticarts.org or call 860-536-7601 x203. 6′ table space will be provided for $30 if reserved by April 18th, and $40 thereafter. Early birds can get a first look from 8am to 9am for a $5 entry fee.